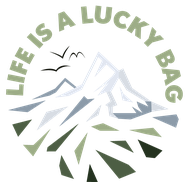 Sitemap - Life is a lucky bag! 01/31/2019 - Ski touring is only for professionals? 10/30/2018 - Half marathon, the second, and a lot of happiness! 10/24/2018 - New blog feature! 01/31/2018 - Crêt-du-Midi - earn your cake! 01/24/2018 - Le Turet - a hike for everybody! 12/20/2017 - Argentière - stay in the valley! 12/04/2017 - Snowshoeing - just some tips and tricks! 11/29/2017 - Winter Hikes on Winter Wednesday! 11/27/2017 - Mountain Girls for Mountain Girls! 11/21/2017 - 52 Hike Challenge - I'm a finisher! 11/14/2017 - Free Give-Away for you!! 11/07/2017 - Rescue pets - friends for life! 10/23/2017 - The highest peak of... the Jura Mountains! 08/16/2017 - Lac de Lona - easy hike with beautiful views! 07/24/2017 - 52 Hike Challenge - changing my life?! 07/19/2017 - A small dog with a backpack. 06/05/2017 - Vicky goes 3000! 05/30/2017 - A dog on the trail?! 04/19/2017 - McKinley's Piha surprised me!